under the small umbrella: How to win your wife back! Today sees the release of The Vow. based on a "true story", the film covers before and after an accident that makes a wife totally forget her husband. The film goes into his attempts to win his wife back. 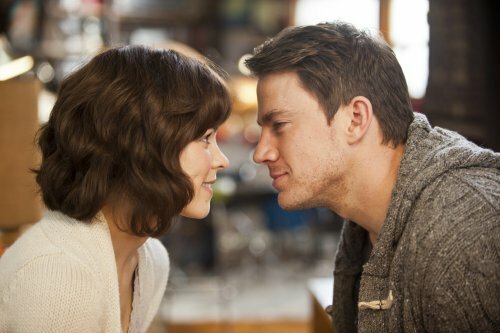 Starring Channing Tatum and Rachel McAdams, The Vow is based on the true story of a newlywed couple recovering from an accident that puts the wife in a coma. She wakes up with severe memory loss and can’t remember any of her life with her new husband…so he has to fight to win her heart all over again.